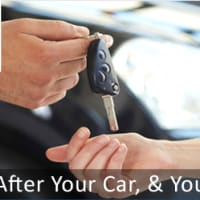 C&G Autos are experts in vehicle repair and servicing. We cover all of your vehicle needs, including Tyres, Exhausts, Brakes, Servicing, Mechanical and Accident Repairs, and class 4 MOT Testing. We are open from Monday to Friday 08:30am to 06:00pm, and from 08.30am to 05.00pm on Saturdays. any work that needs to be done before we commence. Keep you informed of job progress and endeavour to get back to you as soon as possible if there are any complications. ...That's why we will always aim to get you back on the road swiftly and safely, while making sure that as much of your hard earned money as possible stays in your pocket! Advised work did not need doing. 100% trust worthy.. Looking for a garage in Colnbrook with Poyle, Slough?